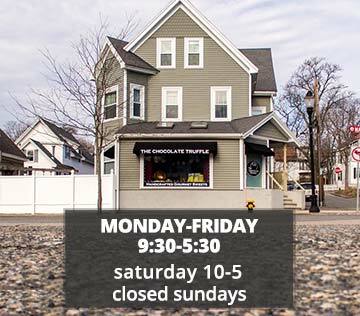 Craig and Jennifer Burkinshaw purchased The Chocolate Truffle in August of 2015. 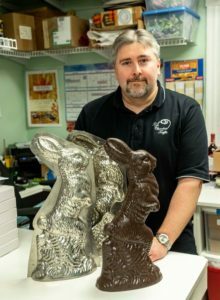 They purchased the company to fulfill their dream of having an old fashioned candy store with the finest quality confections combined with the help of a warm and friendly staff. 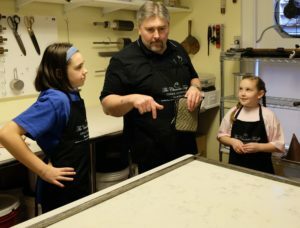 Following in the footsteps of the previous owners, they continue to make decadent truffles and gourmet chocolates that the company has been so well known for since its inception in 1989. Excited to continue making artisanal items and the prospect of adding more to an already fantastic line, the couple continually adds many other confections from recipes handed down from the Cooper family, formerly of Priscilla's Candies of Lawrence Massachusetts, after they retired. They have already added such traditional items as, Cream and Butter Fudges, Caramels, Hard Candies, Buttercrunch & Peanut Brittle, just to name a few. I have always had a passion for food and cooking, for our home we are loyal patrons of Appleton Farms and Tender Crop Farms. The girls and I enjoy our shopping trips not only to see what’s in this week but also the opportunity to see the animals and rolling fields of crops. Simply put it’s our break from the craziness to just breathe in the fresh air and be quiet for a moment. 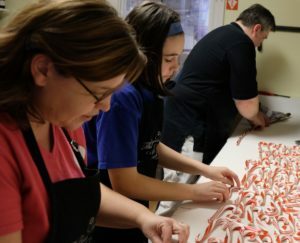 This desire to supply my family with the best foods carries over to our mission as candy makers. Our ingredients matter most to us, it all starts there. Our chocolate is a sustainable cocoa provided by Cargill of North America . We are pleased to have the ability to source our cream locally from Richardson Dairy of Middleton, MA our butter from Cabot Creamery of VT . Our Peanut Butter is all natural Teddy Peanut Butter of Everett, MA and our choice for sugar is always Domino. We are proud to partner with our local suppliers and together we are able to produce the decadent candies so many have grown to love. Our commitment to our customers and our love of candy is our secret recipe.